At Madison Funds we offer intelligent investment choices. Depend on us for an honest, straightforward approach to investing and to serving you. Discover how Madison Funds can help you gain confidence in your financial future. 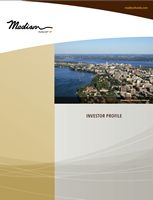 Madison Funds offer investment solutions for risk-conscious investors. Know the risks. Allocate the risks. Seek awards aligned with the risk taken. We appreciate your consideration of Madison Funds. Completed in 1869, the Madison capitol dome features an intricate painting at its center by artist Edwin Howland-Blashfield entitled "Resources of Wisconsin." It shows Wisconsin as a woman, enthroned upon clouds and wrapped in the American flag. 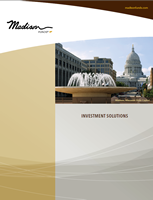 Madison Funds are advised by Madison Asset Management, LLC. Since 1974, the Madison organization has remained an independent, employee-controlled firm committed to Excellence. Let our solutions work for you.